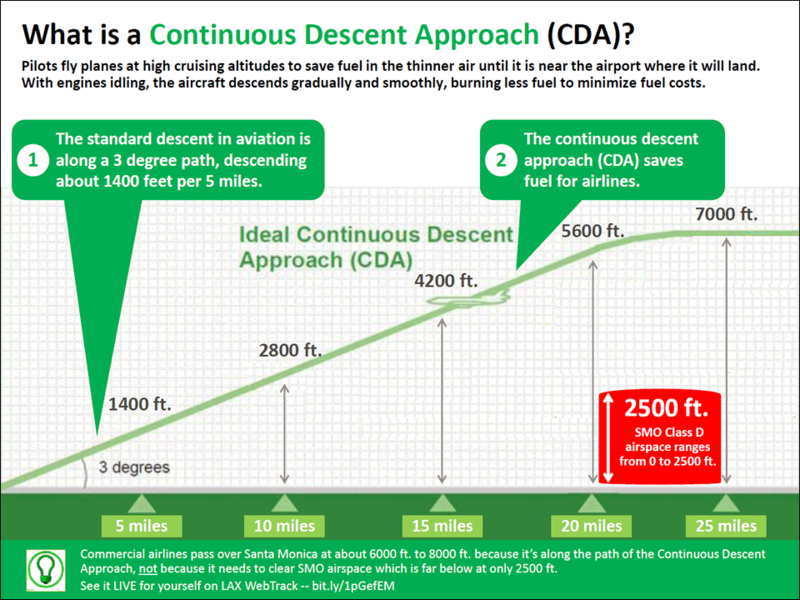 Measure D has been creating fear amongst voters by telling them that without Santa Monica Airport (SMO), large commercial aircraft heading into LAX from the north would come down and skim over Santa Monica at 2,500 feet in altitude. 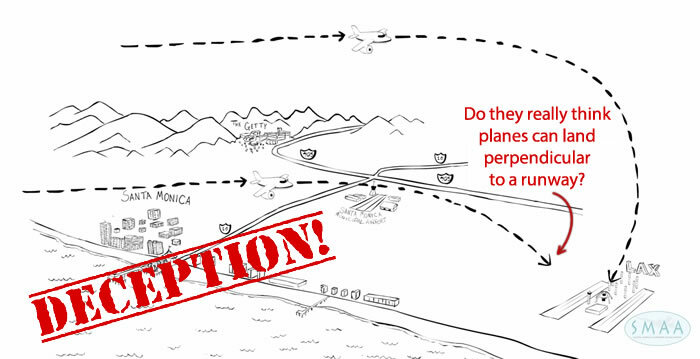 This is another false and deceptive fear tactic by the aviation lobbyist behind Measure D.
Today’s commercial aircraft flying into LAX from the north pass over Santa Monica at about 7,000 feet on their landing approach. Why this altitude? The reason is not to avoid SMO airspace. The SMO airspace is classified by the FAA as Class D and has a top elevation of only 2,500 feet. So why do the LAX aircraft pass over Santa Monica at 7,000 feet? The reason is because of (1) the aircraft’s rate of descent and (2) its landing path which is largely driven by the east-west orientation of the LAX runways. 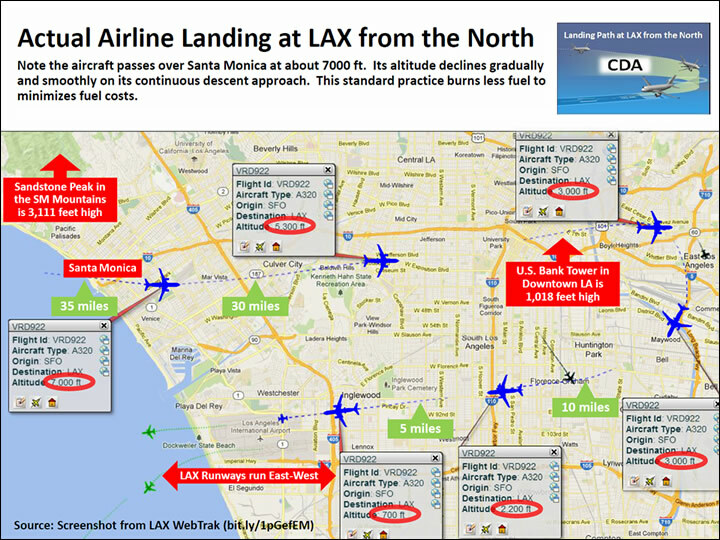 Along this trajectory of the LAX landing approach from the north, aircraft are at least 25 miles away from touchdown when they pass over Santa Monica. At 25 miles away on a Continuous Descent Approach, the aircraft are at altitudes of about 7,000 feet. Thus, the SMO airspace below, at just 2,500 feet, has no impact. Also, here’s a letter from Zina Josephs, local resident and community leader, debunking the Measure D myth as well. Don’t believe the fear, uncertainty, and doubt from the Measure D campaign: Vote YES on LC, and NO on D.